Investing.com – Israel stocks were higher after the close on Wednesday, as gains in the Biomed, Technology and Real Estate sectors led shares higher. At the close in Tel Aviv, the TA 35 added 0.11% to hit a new 3-months high. The best performers of the session on the TA 35 were OPKO Health Inc (TA:OPK), which rose 4.19% or 63 points to trade at 1567 at the close. Meanwhile, Israel Corp (TA:ILCO) added 3.10% or 2440 points to end at 81200 and Melisron (TA:MLSR) was up 3.08% or 470 points to 15750 in late trade. The worst performers of the session were Bezeq Israeli Telecommunication Corp Ltd (TA:BEZQ), which fell 3.54% or 15.0 points to trade at 409.0 at the close. Paz Oil (TA:PZOL) declined 1.83% or 910 points to end at 48860 and Harel (TA:HARL) was down 1.49% or 42 points to 2775. 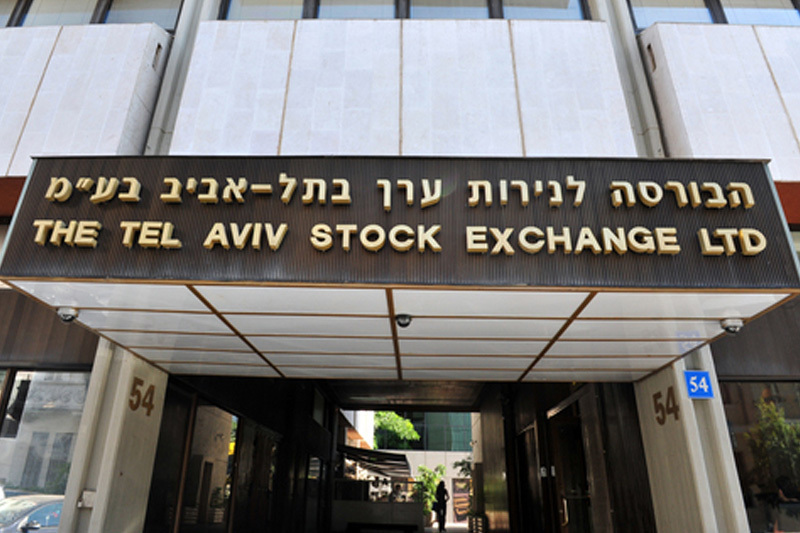 Rising stocks outnumbered declining ones on the Tel Aviv Stock Exchange by 217 to 163 and 24 ended unchanged. Shares in Bezeq Israeli Telecommunication Corp Ltd (TA:BEZQ) fell to 5-year lows; falling 3.54% or 15.0 to 409.0. Shares in Israel Corp (TA:ILCO) rose to 52-week highs; gaining 3.10% or 2440 to 81200. Shares in Paz Oil (TA:PZOL) fell to 5-year lows; down 1.83% or 910 to 48860. Crude oil for July delivery was up 0.33% or 0.22 to $66.58 a barrel. Elsewhere in commodities trading, Brent oil for delivery in August rose 0.86% or 0.65 to hit $76.53 a barrel, while the August Gold Futures contract rose 0.11% or 1.40 to trade at $1300.80 a troy ounce. USD/ILS was down 0.13% to 3.5852, while EUR/ILS rose 0.13% to 4.2216. The US Dollar Index Futures was down 0.19% at 93.65.